Maps? Maps are important for history? Isn't that geography? Well, yes. 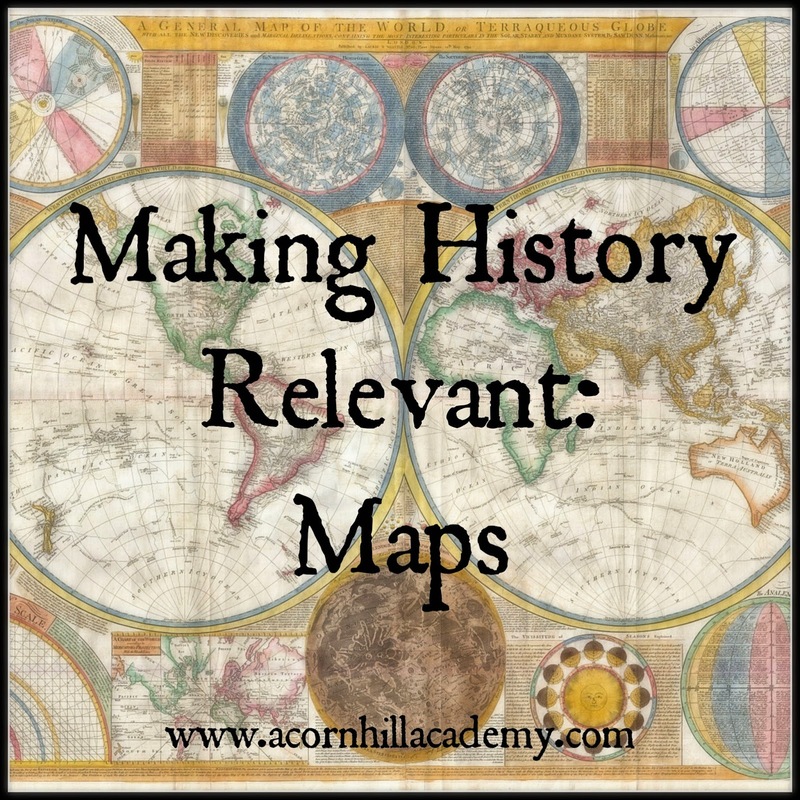 Of course, maps are a key component to geography studies, but I've been reading about using them in history, too, and would like to share that with you. The first mention of it, which piqued my interest, was in this post of Jeanne's over at A Peaceful Day. In it, she mentions using Churchill's Birth of Britain with her daughter as their history spine, breaking it up into short sections to be read daily, and "following on with really good maps." We tried to read that book last year, and just didn't care for it. One of my girls insisted it put her to sleep as she tried to read, and we ended up switching to Dorothy Mills' book, The Middle Ages (aff link). I was very happy with that spine, and the girls liked it much better, but I do wonder now if we would have had more success if we'd pulled in some maps to illustrate what we were reading. Charlotte Mason used map drills with her students, and we do that too. It's a simple thing that takes 10 minutes, once per week. 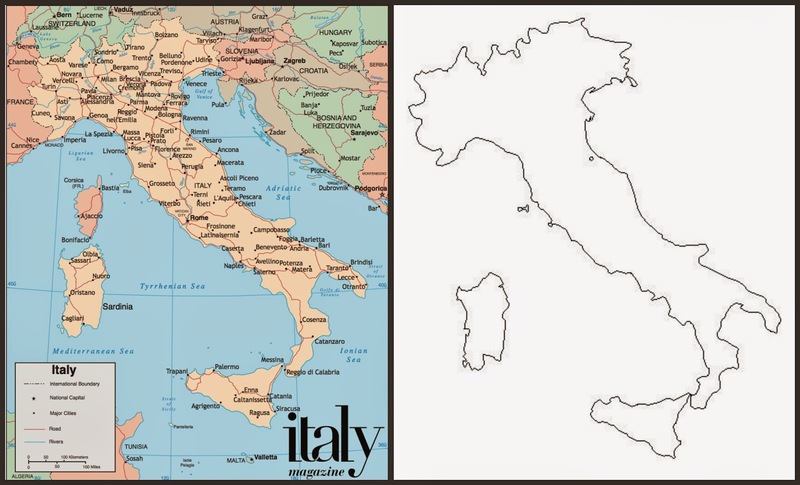 Basically, you give the children a filled-in map of the area you're working on - say, Italy. They study the map for a few minutes, then turn it over and fill in everything they can remember on a blank map of the same area. Miss Mason focused on developing keen skills of observation in her students, and this is just one way she accomplished that. Knowledge Quest's Map Trek is by far my favorite map resource, and I've used it for years. Knowledge Quest also have their new Map Studio, a subscription site that lets you make your own maps. This is *amazing* - I was able to make just the right map for studying the Brendan Voyage, for example. Wonder Maps from Bright Ideas Press - haven't used these, but they look intriguing. Uncle Josh's Outline Maps CD or book - not so many historical maps, but great outline maps for map drills of the world as we know it today. 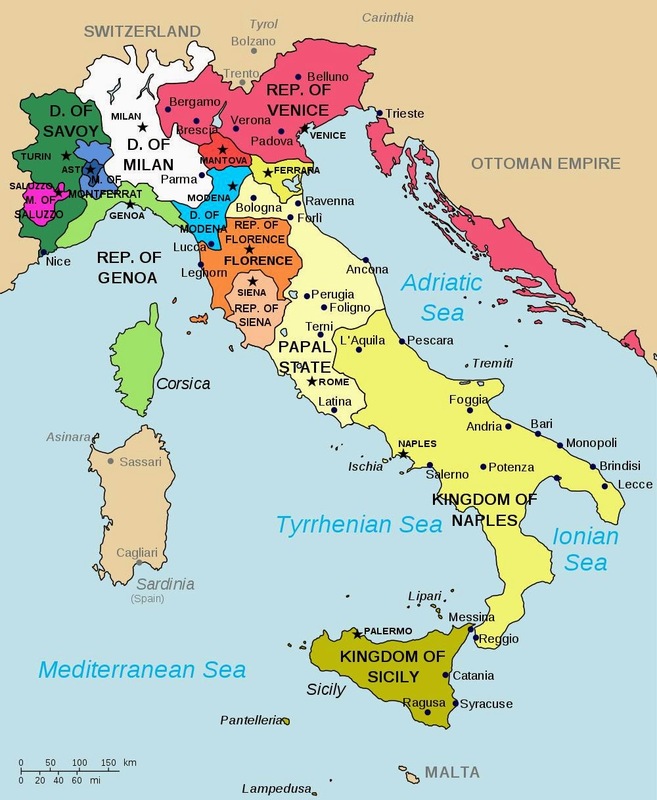 Best of History has a page with links to sites with maps, including National Geographic, etc. Most of the blank printable ones are current maps, but there are some historical sites as well. Seterra offers free, online map quizzes. No printing required! You can also find a lot of maps with a little internet search time. What do you think? Can you see how maps can help students make connections with their history readings? YOU DO NOT WANT TO MISS THE GIVEAWAY! Make sure you click over and enter! 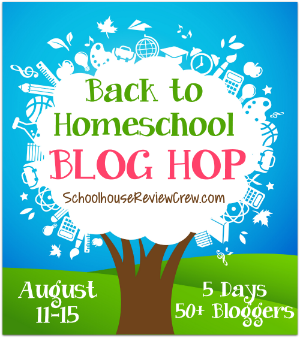 Don't forget to check out what everyone else has to say during the Back to Homeschool Blog Hop this week! Here are a few links to some friend's blogs. Be sure to click over to the main page and see what everyone is doing.